Bluewater Gear is anchored in Sarasota, Florida with a passion for the blue, open ocean. For those of us who love to spend time outdoors on the water, the importance of wearing great apparel becomes second only to the thrill of the sport itself. Inspired by the beauty of the water, Bluewater Gear is well poised to integrate hand-drawn custom fine art onto the highest quality full – dye sublimated performance apparel for superior fit, quality and aesthetics. Recognizing that fashion is always changing, so has the technology and fabrics that continue to evolve. Bluewater Gear selects fabrics that can wick away water and bring it to the surface to evaporate to keep you cool and dry. 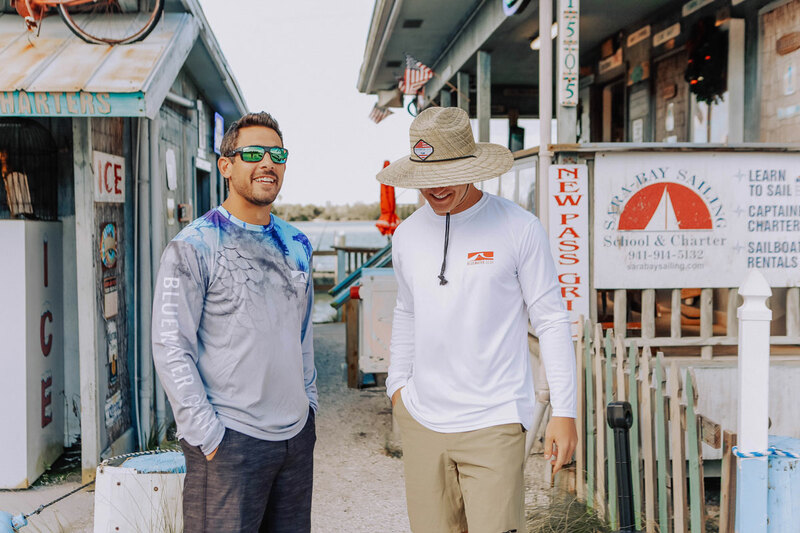 We’ve rounded up some great looking styles that offer superior comfort, durability and performance, many of which are waterproof breathable garments that are in such market demand including UPF 30-50+, quick- dry, ultra-light, 60/40 cotton poly blends. Our target audience is active men, women, and children who love to live the outdoor lifestyle. Whether you are looking for leggings, performance shirts and shorts, tanks, tees, hats, and much more. Bluewater Gear has you covered for your outdoor apparel needs. When our founding team tried to shop for fishing performance gear, all they found was boring, identical designs. They saw a need for beautiful apparel that let them cast, reel, and hook… all while looking dang good. So Bluewater Gear was born!